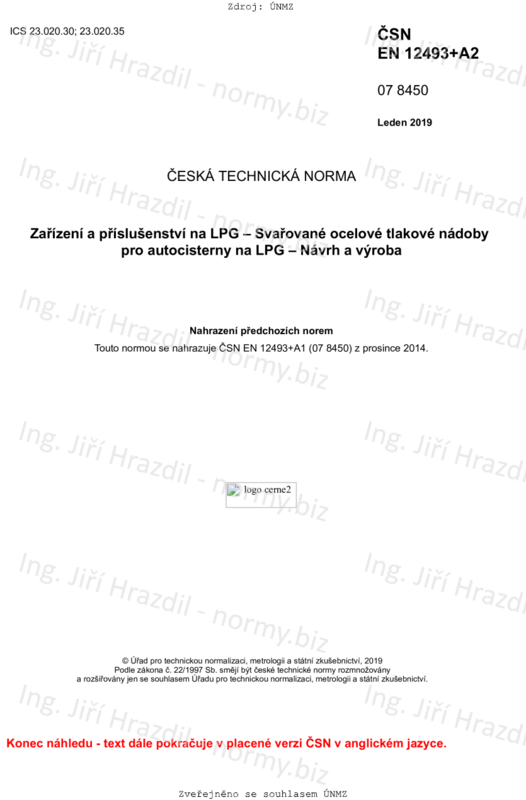 This European Standard specifies minimum requirements for materials, design, construction and workmanship procedures, and tests for welded LPG road tanker pressure vessels and their welded attachments manufactured from carbon, carbon/manganese and micro alloy steels. There is no upper size limit as this is determined by the gross vehicle weight limitation. This European Standard does not cover pressure vessels for pressure vessel containers. NOTE 1 - In the context of this standard the term "road tanker" is understood to mean "fixed tanks" and "demountable tanks" as defined in ADR. NOTE 2 - The equipment for the pressure vessels and the inspection and testing after assembly is covered by EN 12252 and EN 14334, respectively. NOTE 3 - The design type of the road tanker is subject to approval by the competent authority, as required by ADR.